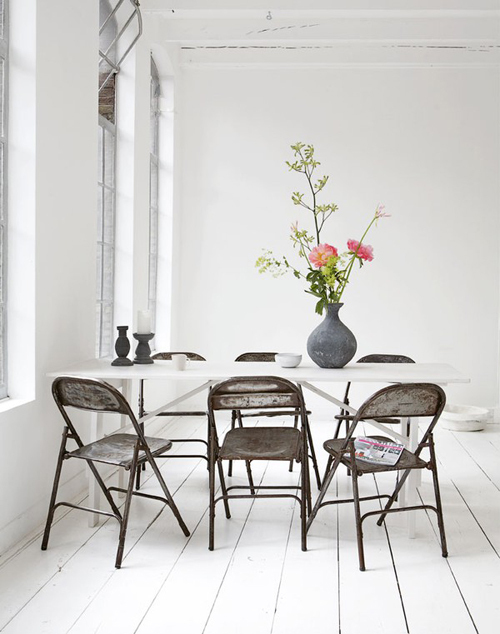 I just love white wooden floors. I have to admire them from afar as we have natural colored wooden floors in our home. The top two images are from VT Wonen. I found the image above at Emmas Designblogg. 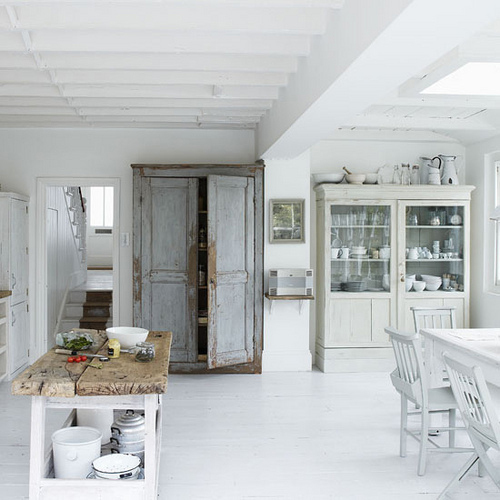 Loving the rustic kitchen in the image above (via Living Etc). 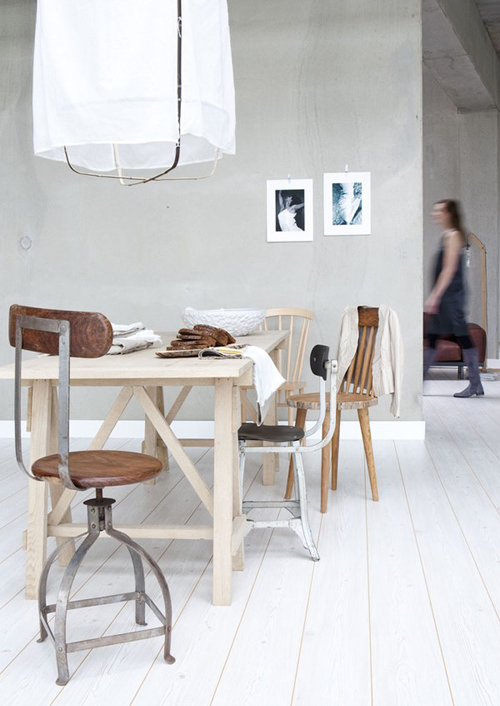 This photo is from the portfolio of stylist Sara Sjögren (via Desire to Inspire). i have friends that have them in their home and every time i’m there i admire them. Oh, I love white boards on the floor! I’m gonna definitely use them in my new dream home! Beautiful, clean and simple! I love it! Love these floors – so clean and classic and a background for anything! I would love to paint my home´s floor in white, the stair case is already in this color, very beautiful but difficult to keep clean!! Nice photos. This white wash look fantastic! It must be done by a professionals. I do also enjoy white washed floors.